Of all the signs of movement in Obama’s direction, Gallup's poll is perhaps the single most telling. With huge sample sizes, Gallup's demographic breakdowns have much smaller margins of error than other polls. 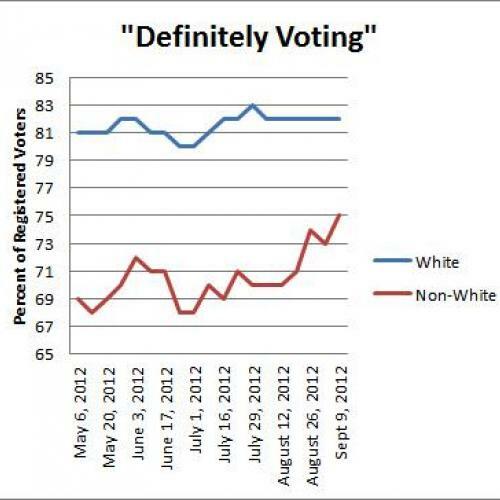 The number of non-white voters who said they would “definitely vote” increased to record highs. 81 percent of African Americans said they would “definitely vote” compared to 82 percent of whites—the smallest deficit to date. In total, 75 percent of non-white voters said they would definitely vote compared to a low of 68 in July. Only one quarter of the sample reflects the DNC, so it will be interesting to see if these numbers increase further over the coming weeks. Given the tremendous gap in the voting preferences of white and non-white voters (Obama leads among non-white voters 78-15 but Romney is ahead 54-39 among white voters), these changes are potentially very significant. If the only voters who turned out were those who say they would “definitely vote,” then Obama’s 3 point lead among registered voters would shrink to 1.8 points. But that 1.2 point gap represents an improvement from last month's 2.2 point gap since just 68 percent of non-white voters said they would definitely vote, compared to 80 percent of white voters. The likely vs. registered voter gap might be larger than these numbers suggest if Obama has a larger lead among unlikely non-white voters than among likely non-white voters. 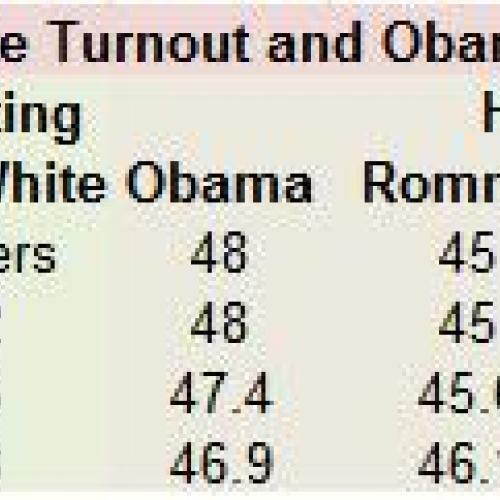 It might also be true that Obama has a larger lead among unlikely white voters than non-white voters. 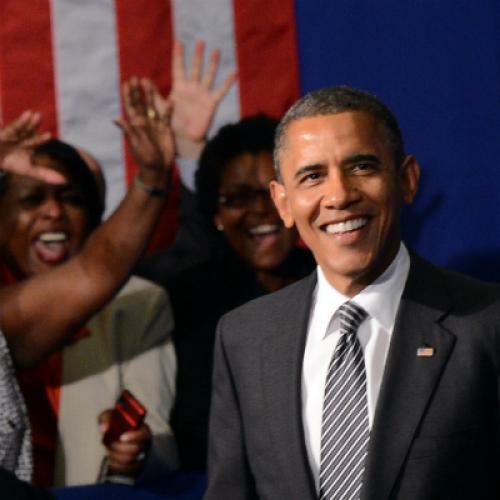 Even so, the initial returns suggest the Obama campaign may have made up some ground in its effort to narrow the gap between registered and likely voters, even if it still have more work to do.